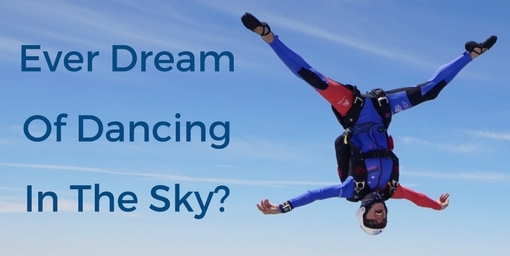 Thinking about making your first ever skydive? We know! It’s a big deal. That’s why it’s important to book your first jump with a name Greensboro skydivers trust. Located in Raeford, about 2 hours southeast of Greensboro, Skydive Paraclete XP offers world-class tandem skydiving and learn to skydive programs. We’ve hosted skydiving guests from Greensboro, Raleigh and all over Central North Carolina since 2007. Greensboro is a city known for its beautiful green spaces, thriving community life, and big-hearted residents. Perhaps it’s no surprise, then, why so many Greensboro residents drive to Skydive Paraclete XP to take to our blue skies. Skydiving is one of the most unique and exciting outdoor activities you can experience and the skydiving community is amazingly tight knit. Located in Raeford, NC, we are approximately 2 hours southeast of Greensboro. Take the NC-211 exit, EXIT 44, toward Candor/Pinehurst. Turn left onto NC-211/NC Highway 211 E. Continue to follow NC-211. Turn right onto NC Highway 5 N/NC-5. Continue to follow NC-5. Turn right onto S Sandhills Blvd/US-15 S/US-1 S/US-501 S/NC-211. Turn left onto US Highway 15 501/US-15 S/US-501 S/NC-211. Take the 2nd left onto Raeford Rd/NC-211. Continue to follow NC-211. Turn slight left onto Turnpike Rd. Turn left onto US-401 N/Fayetteville Rd. Turn left onto Doc Brown Rd. Get turn-by-turn directions from your exact location or click on the map below for an overview. If you’re seeking the ultimate outdoor activity or are looking at places to go skydiving in Greensboro NC, we encourage you to check out what Skydive Paraclete XP has to offer. We guarantee it’ll be one of the best days of your life! Book a tandem skydive near Greensboro today or contact us with any questions you have!